Juniper Payments offers the only fully integrated 4 tier system in the industry. Payments initiated at the Business (retail) level will process directly with their Community Bank or Credit Union. Payments are then viewed, approved and delivered to the Correspondent. 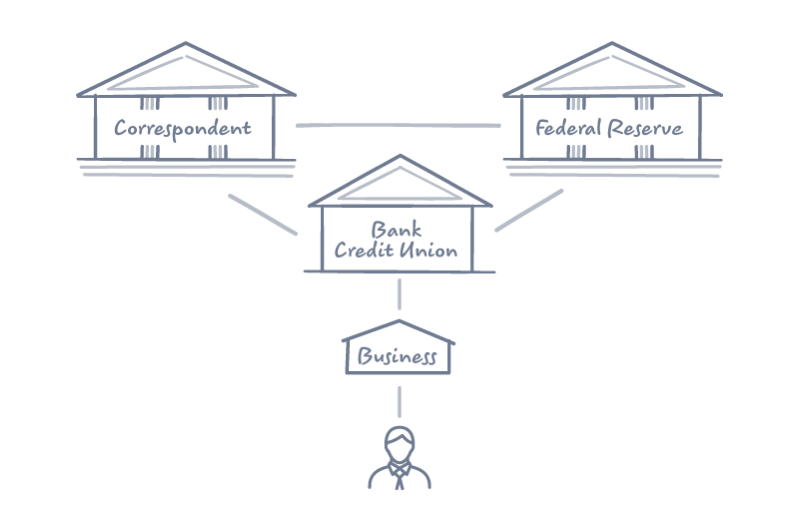 Based on the payment type, the Correspondent either clears and settles or Juniper delivers the payments upstream for processing. Everything is tracked, audited and accounted for at all levels of the delivery and processing chain.